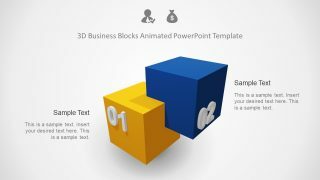 The Animated 3D Business Blocks with 2 Steps is a creative cube diagram. The blocks are 3D Model in PowerPoint with infographics and animations for appealing visuals. 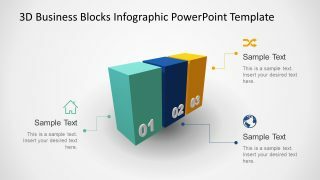 This special PowerPoint by SlideModel with two similar layouts as 3D stepped diagram and 4 steps stacked cube. 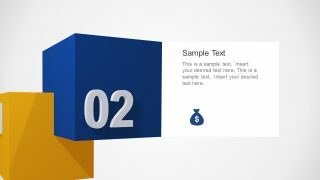 Further, it is an editable PowerPoint with icons like verified user and money bag. 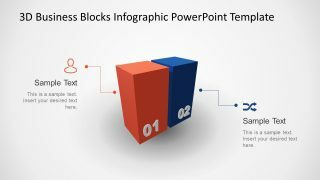 The presenter can change these infographics, their colors, and backgrounds. The yellow and blue cube blocks are resizable, but colors could be changed through 3D editing applications. Furthermore, the blocks include numbers to demonstrate a sequence of 2 steps diagram. 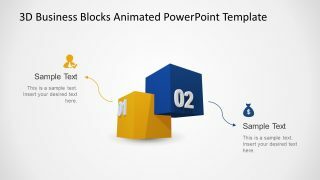 The Animated 3D Business Blocks with 2 Steps is a visually appealing PowerPoint. It highlights each block segments with the help of morph transition which create a zoom-in effect. 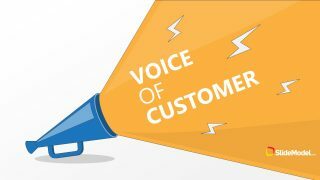 The text placeholders will assist presenters to add useful presentation about business concepts. Moreover, these 3D cube blocks are ideal for describing business models and scientific research topics. Because 3D shapes will enable users to rotate objects in any angle and present various aspects of an element. 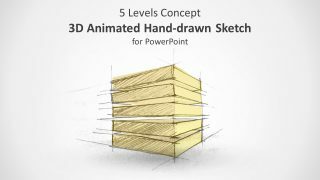 Hence, it is a multi-purpose PowerPoint to demonstrate presentation in wide range of industries. The blocks diagram illustrate relationship between processes or activities in a project. Therefore, the stacked blocks can present 2 stages of a process flow diagram.